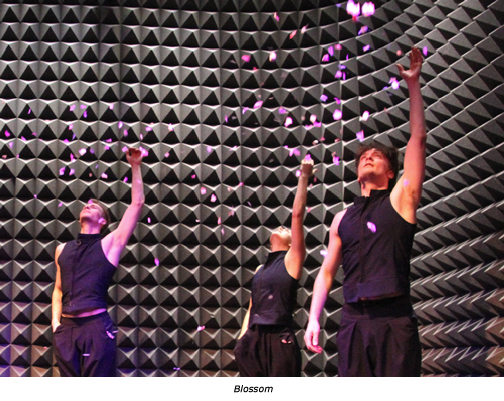 “Embracing limitation as a catalyst for creativity, we create all-inclusive, destination events that reflect a New York City landscape bustling with dance innovation.” That’s what it says on the banner of Dance Now’s web site. 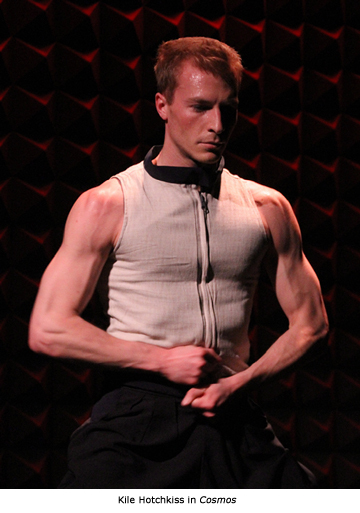 From the moment that we set foot inside Joe’s Pub, the limitation was looking us right in the eye. The stage was tiny — 9 feet by 11 feet, in a triangular shape. How on earth were the dancers going to travel? The cabaret setting of the pub matched the atmosphere of TAKE Dance’s production of Somewhere Familiar Melodies, which received its world premiere. The evening consists of eleven vignettes, ten of which are danced to a Japanese pop song. In his company’s newsletter, Take wrote that while grieving the devastation of the Tohoku earthquake and tsunami of March 2011, he found himself returning to the pop music that he listened to while growing up in Japan. This evening of dance is a celebration of that music. The evening opened with Prayer a somber piece danced by Jill Echo to the music of Chopin. Smoke fills the stage as Echo, in a plain white dress, dances alone. 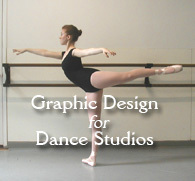 Her movement is compact and solemn, appropriate for the small stage, and her focus is often cast downward. But from there, a suite of high energy pop songs erupt and the dancers’ movement is daring and exuberant. .
Ouedan (also called Cheering Squad) is an entertaining piece. Its energy charged through the audience and made the people come alive with cheering. It was amazing to see the extent of movement considering the small size of the stage. From the beginning of the evening, we can see the strength and artistry of Take’s dancers, who handle complex transitions and changes in speed within the confines of that small stage as if it was effortless. In Our Dance, performed by Gina Ianni and Kile Hotchkiss, there is focus on the expression of the upper body. The partnering is surprising and unpredictable. 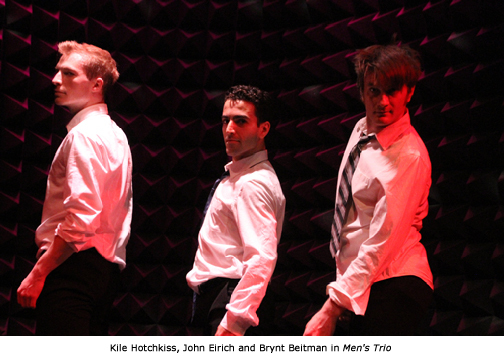 Kile Hotchkiss’s solo Cosmos incorporates martial arts movement and rapid pacing, high jumps and silent falls. Hotchkiss changes pace seamlessly. This is really impressive dancing. 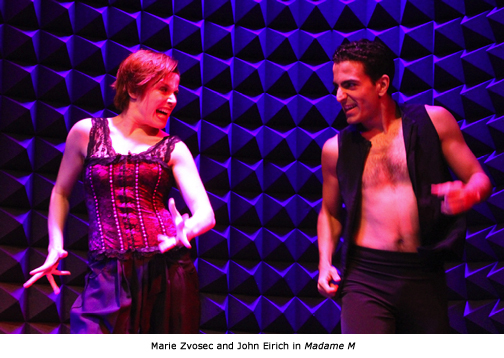 Marie Zvosec, with her rock star bearing, is wildly entertaining as she lets loose to the music of Madame M. John Eirich partners her with great attitude. The piece conjures the atmosphere of an old school rock concert. Kristen Arnold, Brynt Beitman, and Kile Hotchkiss perform G-men masked in dark glasses and black costumes. They stand with authority, practiced in the art of intimidation. 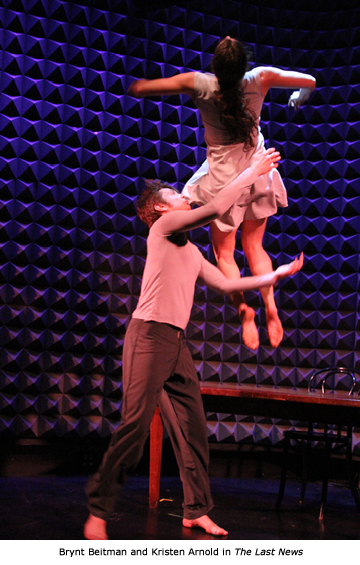 Again, the adept partnering and the clever lifts create such compelling movement that breaks through the limitations of the tiny stage. There is a sequence in which the dancers run in place, and it creates a burst of energy that seems as expansive as if they’d been traveling across a standard sized stage. Rain seemed like a restaging of a passage of Take’s evening length work, Salaryman, adjusted for the tiny stage. A man dressed for business in a suit and tie carries an umbrella and offers to cover a young woman and shelter her from the rain. He doesn’t get a reaction from her until he’s about to give up, and then she suddenly acknowledges him. The dance is melancholy in its subtlety, performed with beautiful understated emotion by Gina Ianni and John Eirich. The Men’s Trio showcases the type of physical behavior that Take always captures so well. The movement depicts the self consciousness of people who are torn between being upright and straitlaced, but who also heed the call to get down and let loose and fall under the spell of the energetic pop music. The characters shed their business jackets. They are awkward and reserved as they try to rock out. When one man finally loosens his hips and loses himself to the dance, another rolls his eyes in embarrassment. I loved the use of the small gestures in the hands and wrists, the body surrendering to the music even as the men sometimes held themselves straight, attempting to remain in a reserved posture. This dance was wonderfully amusing and it got a big rise out of the audience. For Four Seasons, the dancers travel in a line through the aisles of the pub, their upper bodies telling the story in a canon of movement. There are expansive swaying arms, or the gesture of picking an apple in autumn, shivering in winter, sneezing in spring. At the end of an evening of dancing on the small stage, their passage through the room seems grand and especially lovely. 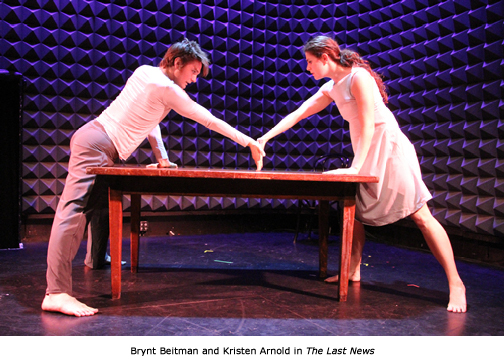 Kristen Arnold and Brynt Beitman delivered a stirring and emotion packed performance of The Last News. The dance opens with Beitman sitting at a table which takes up most of the small stage. The table becomes a vehicle for standoffs, changes in level, turns, shelter, and extremely daring jumps executed with highly synchronized and skilled partnering. Their execution of the challenging choreography is outstanding without sacrificing an emotional punch. The evening ended with Blossom, which seemed to be an affirmation of the renewal of the seasons. This piece seemed to reflect on and recapitulate all the atmospheres from all the previous pieces of the evening, and the gamut of emotions from pathos to hilarity. It ended in beautiful form with a shower of cherry blossoms, appropriate for this time of year in New York City. The concert was beautifully conceived and exquisitely danced. And yes, it absolutely did rise to the challenge and transcend the limitations of the tiny stage. This entry was posted in Dance, Karen and tagged Dance Now at Joe's Pub, Somewhere Familiar Melodies, TAKE Dance, Takehiro Ueyama. Bookmark the permalink.